The Thursday Interview: Courtney Farrell. 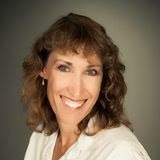 Today I'd like to welcome Courtney Farrell, author of “ENHANCED” to The Thursday Interview. Before we get started, a quick intro! 1. Would you break the law to save a loved one? Why? Lots of people are alive without truly living. Settling for less than they want. Trapped in boring, safe jobs and boring, safe relationships. Truly living can be frightening. What if we risk it all and lose? What if we do our art but the critics pan our work? I figure it’s better to try than to have regrets. Losing is part of the game, after all. It’s a really cool way to get paid for daydreaming. Besides the obvious instinctive motive, I guess everyone wants someone to love. Plus, kids are fun. If you have them, you have a perfect excuse for playing on the playground, sitting on the floor with toys, or showing up at work with coffee all over your shirt. 5. 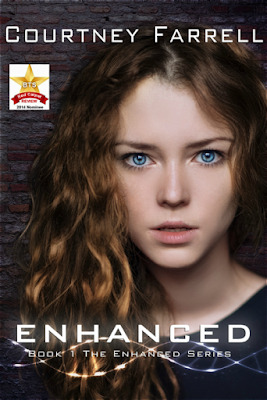 What was the biggest challenge in creating your book ENHANCED? I never outlined it before I started, which was admittedly stupid, but Enhanced was my first novel. I had no idea what I was doing. The story started to wander, and I had to rewrite the second half. That was a lot of work, but it was worth it, because BTS E-Mag nominated it for the Red Carpet Awards! Now I’m on my fourth novel. I try to have some idea of where I’m going before I sit down to write. Everything that happens in life is a lesson, and if you fail, you’ll just get the lesson repeated in another form. As Ram Dass says, it’s a heavy curriculum. 7. How did you come up with the title ENHANCED? The original title was Only the Left Eye Cries, which I love, but my original publisher felt it was too long for a book cover. So I changed it just in time to see a bunch of bestsellers with long names hit the market. I take coaching quite well, so if the criticism is constructive – like from a member of my critique group – I just say thank you and absorb what I can. Nasty criticism in the form of a personal attack is different. Those trolls are usually miserable people who hope to build themselves up by cutting others down. I try to ignore them. Enhanced is fun and entertaining, but it also offers some commentary on social issues. Science is moving fast. What if you could give your child the best genes money could buy? Would you? What if you couldn’t afford it, and others could? How would your kid compete? Because there is magic in the world, spinning energy into matter and creating all manner of wonders. Thank you Courtney for taking the time to answer my questions & the best of luck with your new book!